You’d think that eating WFPB I’d miss things like burritos or nachos more often. Nope! I have plenty of recipes for all sorts of burritos and nachos. 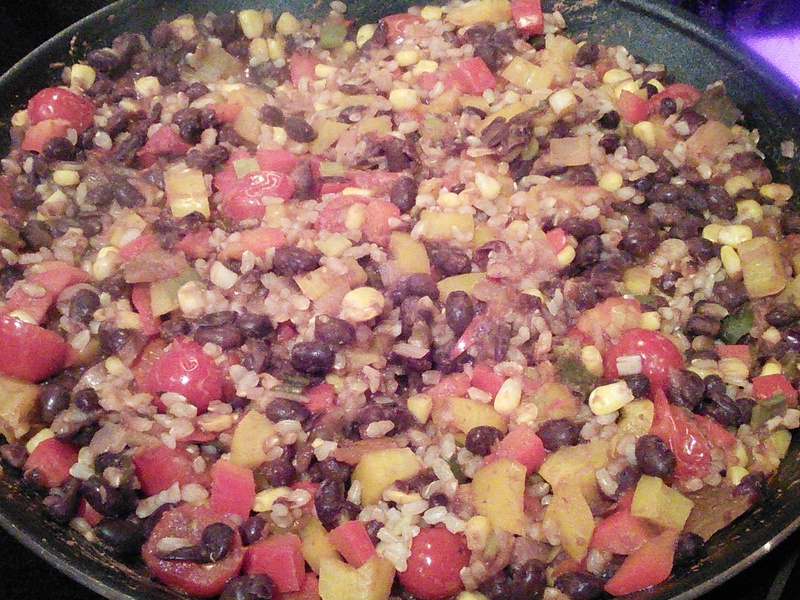 One of my favorite, easier-to-make recipes is a combination of two other burritos from Forks Over Knives and mywholefoodlife.com. The website uses oil to cook, which is a major no-no, and you don’t need the oil to cook the veggies anyway. 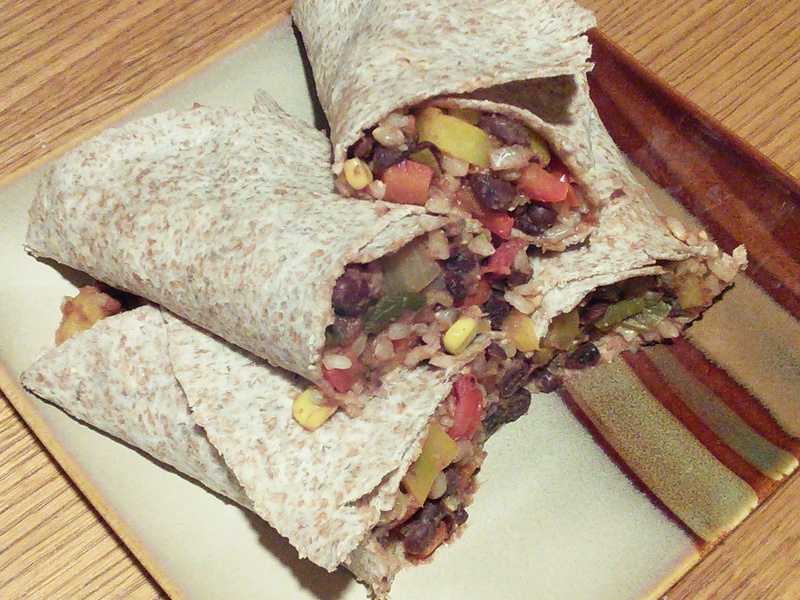 The Forks Over Knives burrito is super simple to make, but I find it to be too rice-heavy. I like a combination of the two the best! The original recipes for my combined version aren’t spicy at all. If you want to add spice, do a scoop or two of jalapenos, or add a dash of red pepper flakes, or a bit of cayenne pepper. 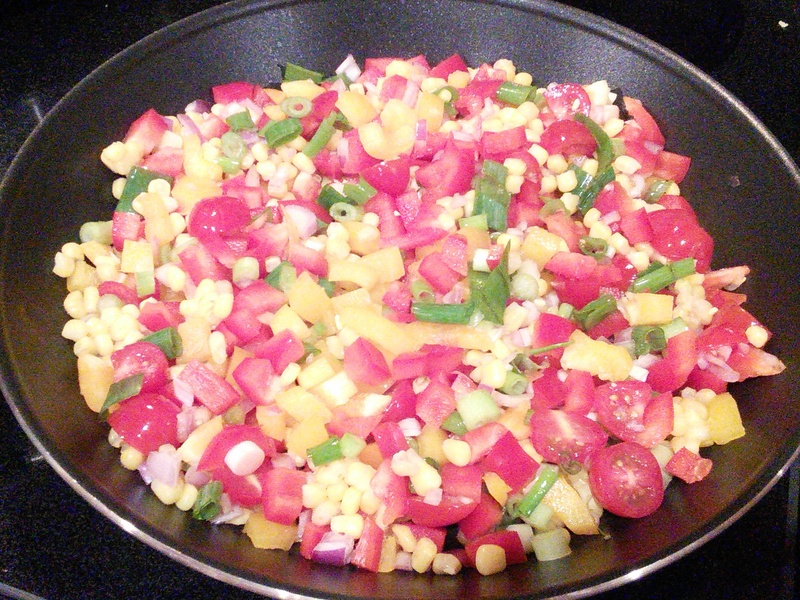 Combine bell peppers, green onion, shallot, corn, garlic, cumin, lime, and tomatoes/cayenne pepper (if you’re including these) in a large pan over medium heat. 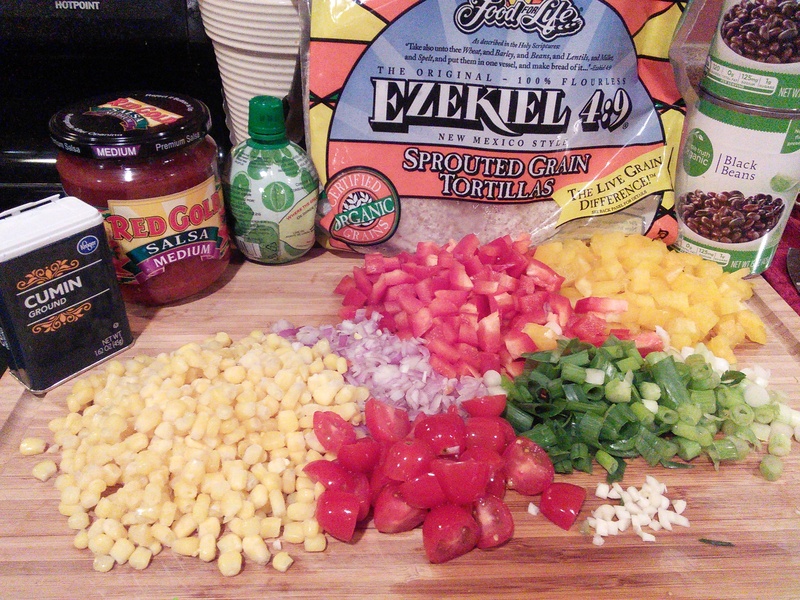 Cook for about 7-8 minutes, or until veggies soften. You don’t need to use oil because there is already enough wetness in the veggies, but if you see it’s starting to stick or burn add water a tablespoon at a time. 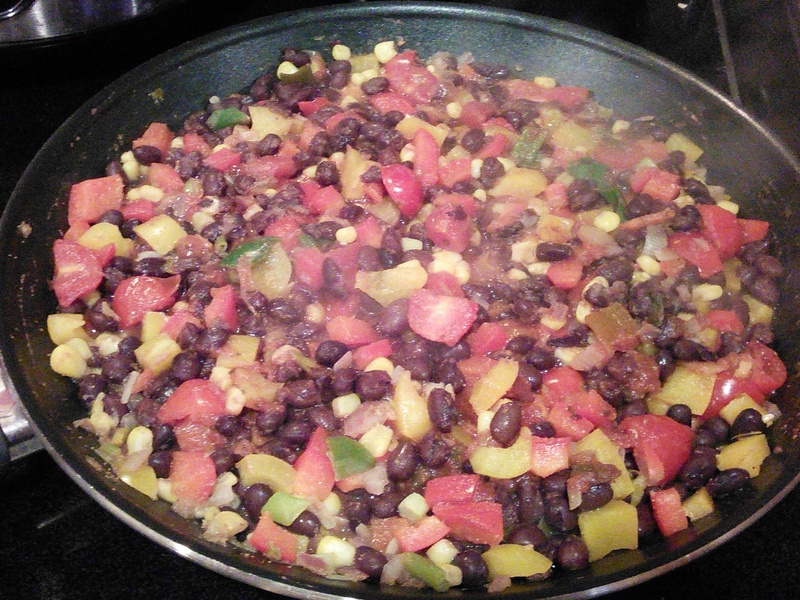 Add the black beans and salsa, mix well, and heat through for a couple minutes. Add the cup of cooked rice to the veggie mix. Simmer all together for about 2-3 minutes. All done! Wrap in a tortilla shell or eat as-is. I am not good at posing burritos for pictures.